Did a few other cooks before hand, stuffed mushrooms and some Turtle Eggs. Mixed up the filling of bacon and spinach and put on my mbge for 35 mins at 400*. burnt the crust a little, prolly should have pulled at 25-30 mins. Other than that, tasted great. 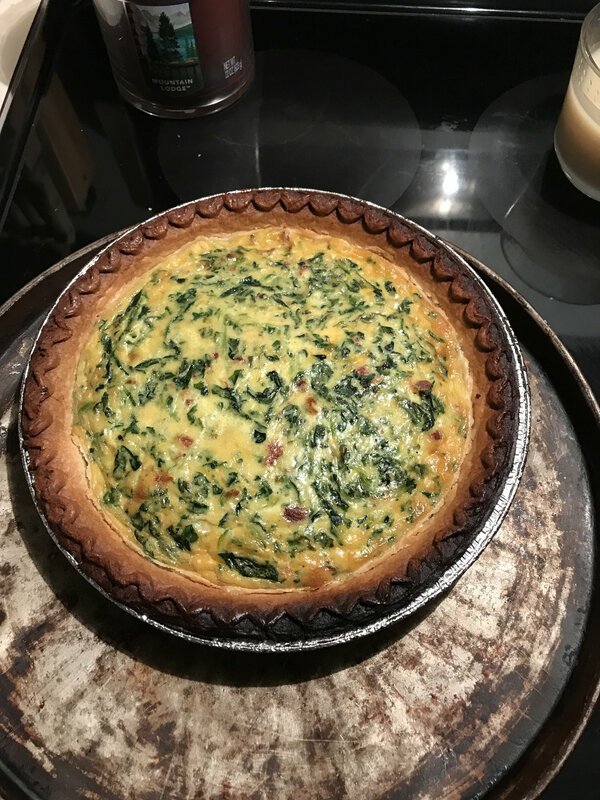 I for one enjoy a good quiche. Beautiful. This isn't me perpetuating a stereotype...this is just an observation.